The Hawaiki Hybrid Double Bend is Dave Chun’s take on the Tahitian Steering paddle. 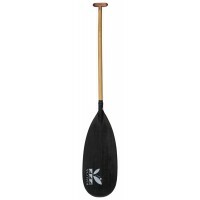 It’s the most versatile steering paddle in our line. 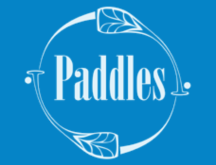 This hybrid double bend steering paddle features a long blade with parallel sides which allows the steersman to vary the depth of blade depending on the conditions. The Hawaiki is equally at home paddling as it is steering and the greater blade angle (13 ½ degrees) of the Hawaiki allows the steersman to better match up with their teammates when paddling. Total Paddle Weight: 23 oz.